Enjoyed the continuing story of Caren and Drew. They are so likeable and really connected. Great trilogy series. Robyn Ryan has done it again! 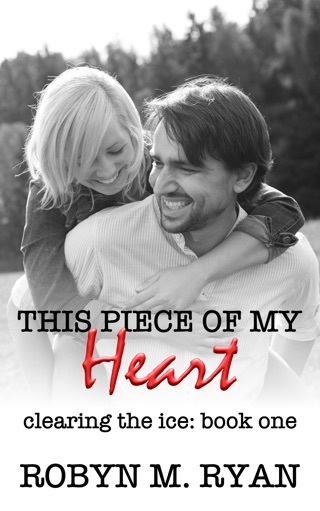 "This Piece of My Soul" is a fantastic follow-up to the first book in the series (This Piece of My Heart). Caryn & Andrew have made the move to Tampa where Drew accepted a new contract to play for the Suns. Their life together was falling into pace and both seemed happy in Florida with the new team and new friends. But early into the season, a life-threatening injury affects Drew and Cary more than they could possibly imagine. Not to give any spoilers away, but the gist of the book is how and if Andrew & Caryn will be able to survive the injury. Robyn has done a fantastic job of taking us deeper into the characters' psyches and aha also introduces us to some great new characters. Some of the new people in Cary & Drew's live are great and some not so much. The story is filled with so many emotions. She had me laughing and crying and angry and content and envious and sad... But man, I was frustrated through a lot of the book. I just wanted to reach in there and slap some of the characters upside the head for their fears and insecurities and for their stubbornness and for just being bitc--s! I'm really glad the story got to where it did by the end. But there's so much that needs to come out and be resolved in the next book! Summer just can't get here soon enough! I can't wait to read "This Piece of My Being"!! Thanks for another wonderful book Robyn! 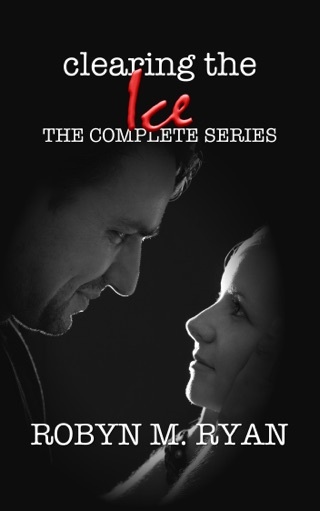 This is the 2nd book in the Clearing The Ice series. This book can be read as a standalone novel. Since it is a series that continues, it is advised to read this series in order. Andrew and Caryn's story continues in this new installment. Everything hits the fan when Andrew is hurt and it throws their life into chaos. They find out who their real friends and family are that come to help. Caryn knows she does not want to live without Andrew. He is just such a big part of her life. When tragedy strikes, she learns who to trust and who to ignore. This book was full of emotions for me. I felt the roller coaster ride that she was on. I sure hope to read the next installment as this series is just amazing.